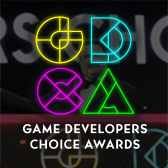 GDC brings together the global game development community through the generous support of Diamond Partners and Sponsors. The Diamond Partner program recognizes top sponsors who play an integral role in the success of GDC. Diamond Partners receive exclusive benefits such as VIP Registration booth build-out discounts, early move-in, priority hotels, premium marketing benefits onsite, and access to events. 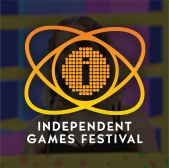 GDC Sponsors represent innovative game technology and service providers interested in meeting developers, demonstrating the latest tools, and building partnerships with developers. 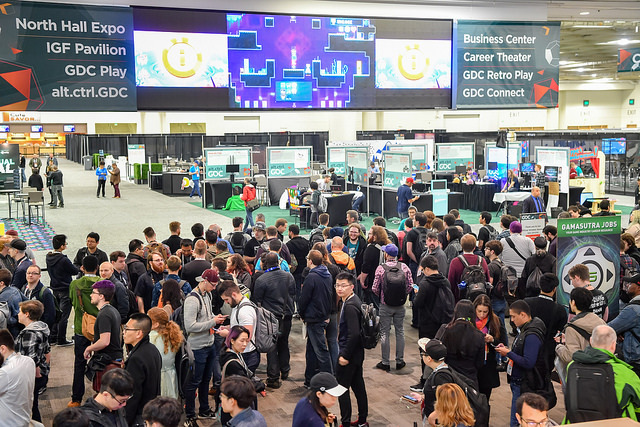 Learn more about GDC 2019 sponsorship opportunities. Facebook Gaming helps developers, publishers and streamers find success on a global scale, providing comprehensive business tools, monetization solutions, and meaningful connections to the world’s gaming community. The Oculus team at Facebook lets people defy distance—connecting with each other and the world—through world-class VR hardware and software. Google helps game developers build and distribute great games. From platforms like Android, Chrome, Google AR/VR and YouTube, to tools including AdMob, AdWords, Cloud, Firebase, and distribution through the Play Store, Google supports the growth of millions of game businesses globally. The Intel® Developer Zone helps developers succeed when targeting Intel platforms; and is a leading resource for tools, code, and information for game and app developers. Intel gaming platforms include everything from Android phones and tablets, to Ultrabooks™, to Xeon™ powered datacenters. Learn more at our sponsored sessions and intel.com/software/gamedev. Microsoft brings together our best resources to create a full technology stack that helps you in the development process. Whether you’re looking to host your game in the cloud (Azure), operate your live titles (PlayFab), or reach the most passionate and engaged gamers on the planet (Xbox), Microsoft is here to help you. Read Microsoft GDC news. 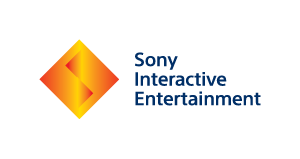 Recognized as a global leader in interactive and digital entertainment, Sony Interactive Entertainment (SIE) is responsible for the PlayStation brand and family of products which includes PlayStation 4, PlayStation VR, PlayStation Store, PlayStation Now and PlayStation Vue. Headquartered in San Mateo, California, SIE is a wholly-owned subsidiary of Sony Corporation. Unity is the creator of the world’s most widely used real-time 3D development platform, giving developers around the world the tools to create rich, interactive 2D, 3D, VR, and AR experiences. Epic Games is the creator of Fortnite, Unreal, Gears of War, Shadow Complex, and the Infinity Blade series of games. Epic's Unreal Engine technology is freely available at unrealengine.com. The Epic Games store offers a handpicked library of games, available at epicgames.com. Follow @UnrealEngine and @EpicGames for updates. Founded in 1996, Valve is an entertainment software and technology company located in Bellevue, WA. In addition to creating several award-winning game franchises, Valve is also the developer of Steam®, a leading online platform for PC, Mac, and Linux games. 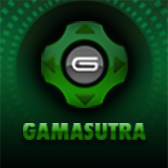 Terminal3 is a global games monetization and game distribution platform. We partnered with global game companies, including Wargaming, SEGA, Goodgame Studios, and Bandai Namco among others to help them launch games, distribute digital content, and accept payments in over 200 countries. Microsoft is bringing our top experts to answer all of your game related questions and learn more about your game development journey. In addition to our booth, we’ll host a lounge where you can relax, connect with our team, and even play a custom card game we’ve designed just for you! Come see us in the upper lobby of Moscone South Hall. Home to world-class companies, independent studios and everything in between, Montreal is the perfect place to take your video game career to the next level. A vibrant, safe and affordable city, Montréal is definitely THE place to be! Visit our West Hall Lobby Lounge to discover our world. Ubisoft will welcome GDC attendees to the Ubisoft Lounge situated on the 2nd floor of the West Hall. In addition to opportunities to meet and continue discussions with Ubisoft’s GDC speakers, the Lounge will also feature a program of additional content to inform and share more about tech, trends, and tools that are important for Ubisoft teams. iDreamSky is a mobile game publisher based in Shenzhen China. If you have a cool game or app, we want to partner with you. Luckily, we have published several globally famous games, including Temple Run, Subway Surfers, Monument Valley, Toy Blast, and GardenScapes/HomeScapes. Pico Interactive is a global company developing innovative VR and AR solutions which enable users to experience the best in VR and Interactive CGI. Unique Influence is a full service digital performance agency that drives business performance with measurable results. We strategize, execute, and grow user acquisition to significant levels of scale. Our in-house creative team uses a refined process (research, concepting, production, rapid iteration) that allows for nimble creative optimization and expansion while our media management team consistently outperforms goals and objectives. StoreMaven is the leading platform for A/B testing app store assets. Using proprietary machine-learning algorithms, we tell you what creatives work best to increase CVR and reduce CPI. Top mobile brands rely on our platform and expertise to understand user behavior and build long-term app store optimization strategies.